Greg holds a Bachelor of Science degree in Finance from the University of Wisconsin. Greg began his career at Prudential Financial where he earned the Life Underwriter Training Council Fellow (LUTCF) designation and also the Chartered Financial Consultant (ChFC) designation. Greg earned his Chartered Life Underwriter (CLU) in 2008. In 2000, Greg founded Custom Financial Solutions. In 2005, Kathy Dettmann came on board to support the growing business. 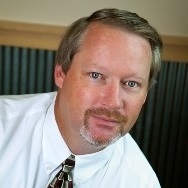 In 2007, Darrell Stone joined the team and the firm name was changed to Hanson Stone Retirement Strategies. Greg lives in Stillwater MN with his wife and children. He is active in the community and enjoys golfing, hunting, and motorcycling.